To this end, the KCG brings together researchers from economics, ethics and management science. Combining insights from these fields, KCG analyses the benefits and costs of the relocation of production activities around the globe from different angles. KCG also analyses important phenomena of global supply chains, their causes and consequences and evaluates related ethical issues. 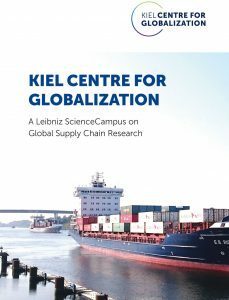 This is expected to open up an innovative field of academic research and allow a more nuanced assessment of the economic consequences of globalization. This will also lead to better informed discussions of this highly controversial topic among academics, policy makers and the general public and, ultimately, provide important inputs into policy making on how globalization works and what policy measures may be used to mitigate negative impacts from globalization. Thus, KCG is an interdisciplinary research centre of globalization which aims to become a bridge between researchers and policy makers to enable transfer of knowledge and to provide a voice that communicates research results centred on globalization-related issues to society at large. PublicationsThe KCG has various series of publications to provide research findings and policy implications to different interested groups, e.g., students, academics, policy makers and the public. The lists of publications will be updated on a regular basis. Brief introductions to the latest publications are provided below.